With 65 more episodes, we could stop worrying about how long this gig would last and focus more on our work. We caught glimpses of fan reactions with the few letters that were shared. One letter from a grandmother thanked us for helping potty-train her grandson. His parents had bought He-Man “Big Boy” underpants for him and he refused to pee on his hero. Though we didn’t fully grasp the impact on the viewers, we understood we had been given another opportunity to create more of something kids really wanted to see. All the departments were inspired to step up their game. We stretched the limits everywhere we could in the storyboards. The Layout Deptartment enhanced our setups with stronger character and background layouts. The animators and directors pushed the animation for more action and character nuance. The backgrounds were more richly detailed. The camera work was more dynamic. 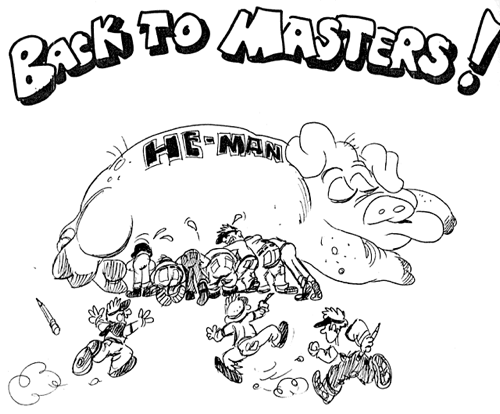 In short, the continuity of work from He-Man Season 1 through Fat Albert and into He-Man Season 2 kept us sharp and inspired us to strive for excellence. There were some lesser works in the second season but many episodes were noticeable improvements over Season 1 shows. By the time Season 2 ended, the artists at Filmation were finely tuned and ready for She-Ra, Princess of Power. The unprecedented success of He-Man and the Masters of the Universe in both television and toys demanded a second season. Everyone at Filmation was ecstatic. Many of us had stayed on through Fat Albert and the Cosby Kids and for the first time had been employed a full year. By the time we finished boarding the last Fat Albert scripts, a new crop of He-Man scripts were ready for us. 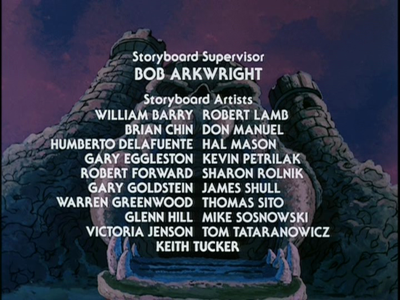 Some of the storyboard staff had left after the first season of MOTU to work at other studios. 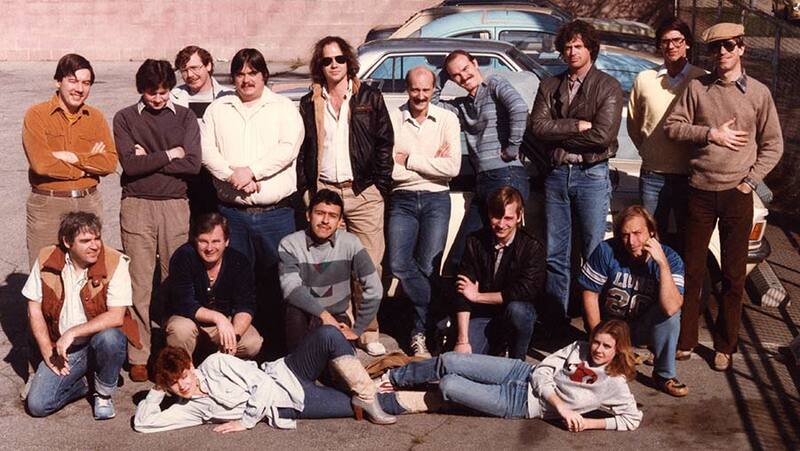 Those who preferred superhero action adventure shows went to Marvel Productions to work on The Transformers and G.I. Joe. Others went to Disney TV, DiC Enterprises or Hanna-Barbera. 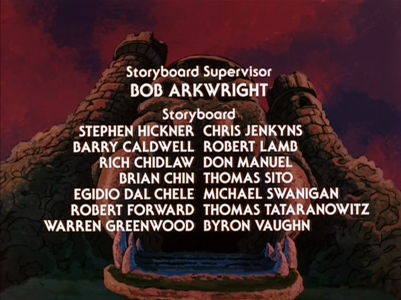 As you can see from the Storyboard credits and group photo, the first season was a He-Man Boys Club. The second season saw the department expand and the invasion of artists of the feminine persuasion. Those of us who stayed had the advantage of experience and familiarity with all things Eternian. We knew the characters and the environments. We knew what kinds of animation worked best within the limits of the Filmation system. We found ways to expand our resources by mining the best animation produced in the first 65 episodes. This reduced our reliance on the stock system for economizing production. 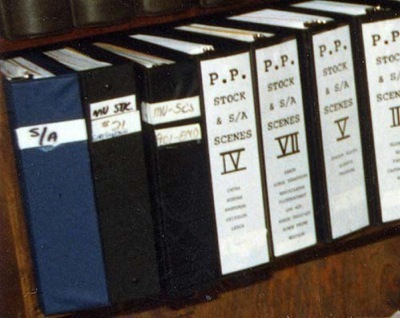 We catalogued useful scenes into large binders for easy reference. New storyboard artists had a bit of a learning curve to conquer but caught up quickly. See "Legal Stuff" for copyright information about Filmation and other entities mentioned here. 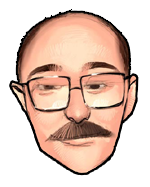 All other original material on this website is copyrighted by Robert Lamb. The Kid Super Power Hour – Hero High and Shazzam! ✦ Into The Abyss NEW!